On Sunday, I stumbled upon an article called So You Think You Can't Meditate... in the March issue of Yoga Journal. The first paragraph dealt with time issues, but in an odd way. "Sure, meditation could be just what you need right now. But who has time? Whether you do or not, you must find it..." It concludes with "So no more excuses for why you can't get started, or, if you already come to your meditation cushion regularly, why you can't seem to take it to the next level." Find time, but nothing about how to do it. And the "next level" comment? Are we talking a little competitive meditation? I began looking into and writing about meditation as an element of time management from the very beginning of my Time Management Tuesday project. I've been reading over and over that meditation can have an impact on concentration, and concentration is a big factor on staying on task with writing. The better you can stay on task, the more you can get done with the time you have, and you can see where I'm going with this. Meditating, however, is not easy for a lot of us. And while it has the potential to help us manage time, it, itself, takes time. If you walk. In Chi Walking Danny Dreyer and Katherine Dreyer describe a "focusing walk." It involves picking an object ahead of you that you can keep your attention on while walking. When you've walked far enough that you can no longer use your spot as a focus, choose another. While your attention is focused on your object, you can "observe" your breath or concentrate on a word or sound. If you walk, anyway, this may be a way to work in some meditation, too. Note that this is not true "walking meditation." Both the meditation workshop I took this past year and the Dreyers describe walking meditation being done in a specific area, walking in a circle, for instance. No distractions. If you struggle with the sitting still aspect of meditation, this might help. If you do qi gong. Yes, this is a pretty big if. I take a tai chi class that includes a bit of qi gong. I can't actually tell you qi gong's relation to tai chi. I've seen them described as complimentary practices or arts. I've wondered if tai chi is a form of qi gong. Oh, for the simple days when I was doing taekwondo. Anyway, the So You Think You Can't Meditate article describes qi gong as a Taoist method of meditation. Again, if you need movement, trying qi gong may help. If you spend time waiting. I've read about being able to "drop into" meditation at odd times you can grab here and there. In fact, the May issue of Yoga Journal has an article, Does Ahimsa Mean I Can't Eat Meat? by Kate Holcombe (terrific piece, by the way), that describes a meditation process that begins with "Sit quietly in your home, in your parked car, or even on the bus or in the waiting room of the doctor's office..."
People who are really knowledgeable about meditation might question the wisdom of trying to meditate while doing other things. 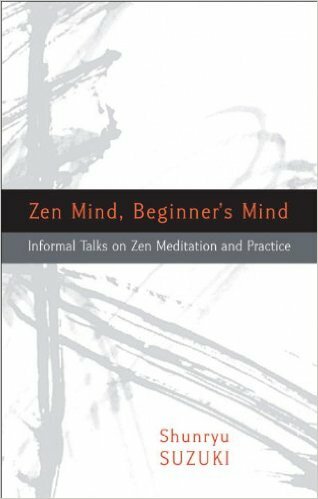 In Zen Mind, Beginner's Mind: Informal Talks on Zen Meditation And Practice (which I haven't finished reading, to be truthful) Shurya Suzuki talks about dualism. "For Zen students the most important thing is not to be dualistic." He's referring at that point to keeping a mind open and ready for anything, not burdened by all it knows, leading to one of my favorite zenny sayings "In the beginner's mind there are many possibilities; in the expert's mind there are few." And he also says later in a section called "No Dualism," "When you do something, just do it should be your purpose." Is trying to meditate while doing something else dualism? But, then, maybe people who are really knowledgeable about meditation might question the wisdom of trying to use meditation to mprove concentration and memory and relieve stress, again because of the dualism thing. In his "No Dualism" section, Suzuki also says, "We say our practice should be without gaining ideas, without any expectations, even of enlightenment." I most certainly use mine (such as it is) with the expectation of gaining something. He also describes someone trying to achieve emptiness through form (their Zen practice). "...you are liable to be involved in dualistic ideas: here is you, form, and here is emptiness, which you are trying to realize through your form." We could rephrase that for our situation: here is meditation, and here is concentration, which we are trying to realize through meditation. Two different states, duality. Well, I have never been one to worry about whether or not I'm adhering to every rule and guideline. I'm definitely a rewarding-myself-for-approximating-correct-behavior sort of person. If it's okay for me to be practicing meditation in order to achieve the end of improving concentration and therefore make better use of my writing time, I'm also going to practice it while walking up the street. But, of course, I could change my mind about that. This month is remarkable because we have only one store appearance, and it's connected to a college event. Libraries and colleges really stepped up to the plate for Connecticut's children's literature community this July. 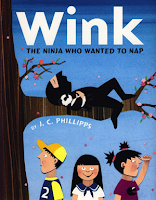 Mon., July 14, Julie Phillips, Woodbury Library, Woodbury 7:00 PM Hour presentation on writing and publishing picture books. Registration required. Tues., July 28, Donna LaBlanc, Shannon Mazurick, J.C. Phillips, Martha Ritter, Avon Free Public Library, Avon 7:00 PM Local Author Festival Topic: "The Reader Experience"
Have we discussed genre? Focusing your writing on a specific type of writing? One of the interesting things about writing children's literature is that you can end up writing genre within genre. Children's fiction is a specific type of writing, a genre. Then within children's fiction you can have still other genres, mystery, science fiction, fantasy, historical fiction, maybe humor, maybe problem novels. I've read jokes about three books on a new subject is the start of a genre, raising the question of whether autism books became a genre a few years ago. Oh. Wait. Are they just a sub-category of problem novels? For new writers the big issue with writing children's literature is that it must involve a child main character and be written from a child's point of view, whether you're talking using a first- or third-person narrator. This seems obvious, but some writers struggle with slipping in an adult character to fix things or teach. And it can become very tricky with writing genre. In mysteries, how do child main characters get around to investigate when they can't drive, may not live in an area with public transit, and may have limited financial resources to pay for transportation? In historical fiction, how can writers connect children to specific events they want to write about? How much knowledge do we have about children's experience during various historical periods? All these thoughts of mine were inspired when I stumbled upon Must-visit Sci-Fi Websites at Now Novel's blog. It relates, of course, to the science fiction genre. It has sites to visit for research and even for research about space-based or robot stories. Science fiction writers for children may find help there for the science fiction aspect of what they're doing. The children's writing portion of the job is another story. Years ago, when I had littlies here, there would come a point while working on a draft when I would get very into it while family chaos went on around me. As I got closer and closer to the end of that particular project, I would start getting excited. Perhaps you recall that old saying about the workhorse who picks up speed when he sees the barn? That's how I would feel. Once I reached the barn, I knew I could take a break and do something else for a bit while the draft sat simmering or was off with my editor. I'd be all pumped up about what I was going to do next. Now I have elders to deal with and a wedding coming up. I'm at that point in the first draft I'm working on when I'm really getting very into it while family chaos goes on around me. What was particularly exciting yesterday was that we had hot dogs for dinner. I wasn't all that interested in food, and I had to do something fast and easy. That's all I could think of. Back in that earlier time I was talking about, we used to have hot dogs a couple of times a week during drafting. I've been feeling lately as if I'm back in the good old days. I am pumped up about what I'm going to do when I finish this draft. Clean my desk. Clean up my e-mail. Do some marketing. Look at some of my short stories and essays. Get started on revising. It's all very thrilling. I know many people think of summer as a time to do nothing. It always makes me want to do a little something special. For work. Something special for work. Here are a couple of opportunities. 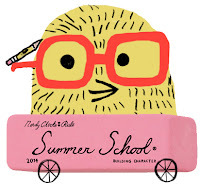 Nerdy Chicks Rule is running a Kidlit Summer School through its blog. They describe it as a "blog-centric event ... focused on craft." Just yesterday on one of my Facebook writer groups the issue came up of writers responsible for childcare trying to work in the summer when school age children are home. The Kidlit Summer School uses the marketing line "Are you looking for a way to keep writing through the dog days of summer?" Okay "dog days of summer" relates to the hot weather in July and August, but that coincides with kidcare, right? While I know nothing about this particular project, I've enjoyed other short-term on-line programs I've taken part in. (A four-week willpower program, for instance.) This might be worth a shot. I think I'm going to register. 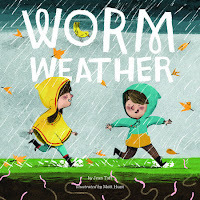 Artist and picture book author Julie Phillips will be doing a one-hour presentation at Woodbury Public Library on Tuesday, July 14 at 7:00 pm. This is a program on writing and illustrating picture books, and registration is required. Did I mention that it's only an hour? Ernest Hemingway said of writing, "The best way is always to stop when you are going good and when you know what will happen next." And guess what? Jan Allen Graduate Mentor (Oh, how I love the name of that blog.) says something very similar. "There’s an essential task in your last five minutes of writing each day that will save time and increase your productivity. Five minutes before you stop writing, make a list of your next steps and ideas for continuing your writing at your next session." What they're both saying is, Know what you're going to do when you come back to work. What does this have to do with managing time? Getting started for the day can be hard and take a lot of time. If you know what you're going to do before you start working, you can hit the ground running. Allen writes about flow in her Your Last Five Minutes of Writing Post post. Flow is a very desirable state in writing, and anything else. In addition to feeling good, it can move work along quickly. Among the conditions that can lead to it: concentration, feeling in the moment, and feeling in control. You don't get to flow struggling just to begin work. As it turns out, I did know what I was going to do when I started work this morning. My 48 hour reading period ends around 7:10 this evening. It became clear before 6 that I wasn't going to get another book done. Book 4 was a no go for me after a couple of chapters. It would have had to have been an incredibly fast read for me to finish and blog about it before my deadline. So I managed only three books this year. I finished Book One Friday night and blogged about it before going to bed. I started reading again before noon yesterday and finished Book Two in the afternoon and blogged about it then. I started Book Three but admit I was reading it while watching a movie in the evening, so that slowed me down. I started reading this morning, took a church break that ended up being around 3 hours, and finished Book Three this afternoon. I like to have a theme for my 48 Hour Book Challenge Reading. One year it was magical realism. One year it was books from my To Be Read stash. Last year it was diversity. This year it was friends' books. I read books written by people I know through blogging or writers' group/NESCBWI. 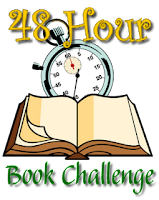 Check out other completed 48 Hour Book Challenge readers. Quite honestly, I veered from Challenge reading at bedtime because I've been reading The Anxiety of Kalix the Werewolf the third in a series I like a lot. So I would have gone a little further with the Challenge if I hadn't need to check out whether the werewolves were going to find the werewolf hunters, get their rock bands going, get a date, etc. Now I am feeling both worn out and as if I've been on a vacation. I'm anxious about getting back to work tomorrow. How Are You Going To Keep Them Down On The Farm, After They've Seen Paree? My third book for this year's 48 Hour Book Challenge is also written in the present tense. Is this happening all over the place, and I just haven't been noticing? Mare's War by Tanita S. Davis is sort of like the finding grandparents books I wrote about recently. However, Octavia and Talitha have always known their chain-smoking, stiletto wearing grandmother. The discovery in this book is her incredible past/story as a WWII era WAC. And her incredible past/story as a WWII era WAC is even more incredible because she's African American, and she was serving in a segregated Women's Army Corps. These sections alternate with longer, historical sections in which the 16 to 17-year-old Mare is the first person narrator. She tells of her rough life in Alabama, how she escaped it by joining the service, and her experiences while in that service. In these sections, Mare speaks in the voice of a very, rural, inexperienced rural girl. A rube, to be blunt. She sounds nothing like the mature Mare. That totally works. To a great extent this book is about how young Mare becomes very mature Mare. Interesting aspect of this book is that we have two YA worlds, Octavia and Talitha's contemporary world and Mare's WWII era world. Octavia and Talitha's YA life is bland and dull compared to their grandmother's. And that works. I could say more about characters--the sister issues, is Mare like her mother, but I have less than three hours left for reading. Allez!!! Disclosure: I've "known" Tanita for years as bloggers. She has been a frequent commenter here, and I've done the same at the blog she maintains with Sarah Stevenson, Finding Wonderland. (Can't figure out how to comment at her personal blog.) I read a library copy of Mare's War. By the way, my computer guy was so intrigued when he heard about the historical subject of this book that he's planning to research it this evening. At my last writers' group meeting, the question of writing in the past- or present-tense came up. Present tense? I thought. But since then, while working on my present past tense Work-in- Progress, I've been thinking, Past? Present? What? 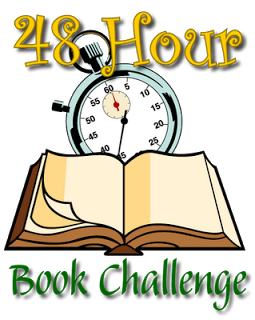 So imagine my delight when I discovered this evening that Fish in a Tree by Lynda Mullaly Hunt, my first book for this year's 48-Hour Book Challenge, is written in the present tense! It was a two-fer, a book for the challenge and a training read. Fish in a Tree is about a sixth-grade girl who is hiding the fact that she can barely read. She diverts attention from herself with humor, sometimes unintentional, and bad behavior, often unintentional. 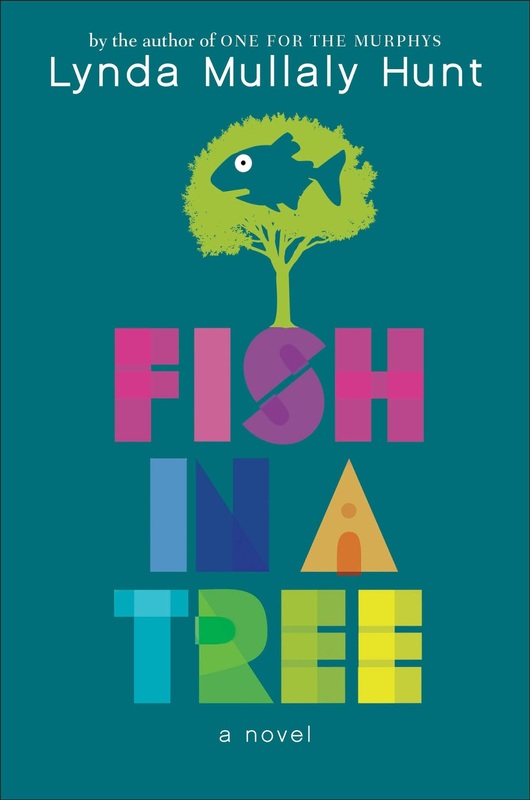 Fish in a Tree is about how a teacher, and Ally herself, come to realize that she is not "dumb," as she feels, but dyslexic, and begin to do something about it. 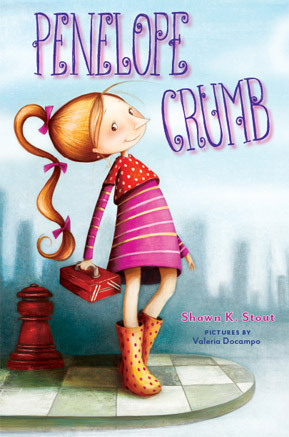 The book is very strong on portraying the emotional impact of serious reading problems. Ally has her struggles, but so do several of her classmates. Secondary characters, mainly Albert, Oliver, and Keisha, are particularly well developed. Keisha is a power girl, Albert is committed to science, and Oliver is just a wildly enthusiastic kid. Early on, Albert gives one of the most elegant descriptions of the water cycle I can ever recall seeing. And Oliver's light bulb joke at the end of the book is so funny I laughed until I started coughing. And the present tense worked very well. I'm quite certain I'm going to experiment with that as a result of reading this. Disclosure: I have known Lynda Mullaly Hunt for many years. I purchased Fish in a Tree at its book launch. 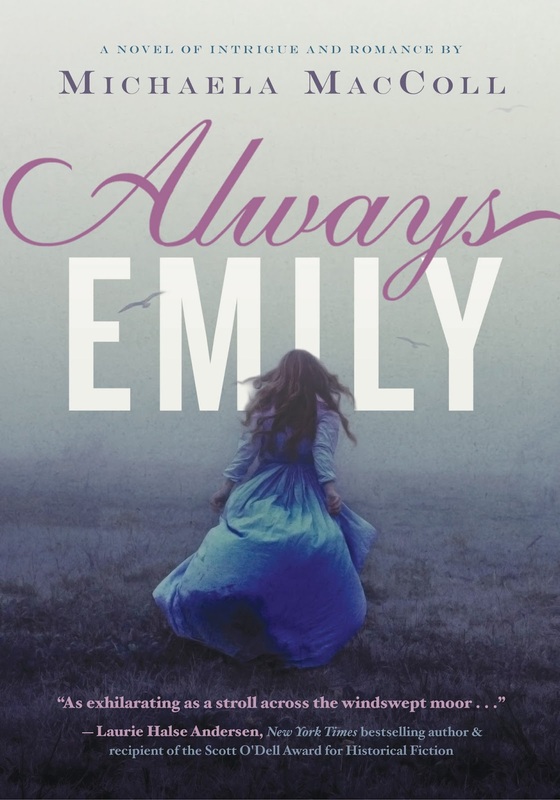 Always Emily, an intriguing, quirky book by Michaela MacColl, deals with the Bronte kids before Emily and Charlotte wrote Wuthering Heights and Jane Eyre. The book is structured as a mystery that teenage Emily and Charlotte solve. But they're also very committed writers, and we see how they take experience and work it into their teenage projects. This Jane Eyre fan was more interested in the puzzle/mind game aspect of the book then the mystery. I kept hunting for Jane references. Girls dying at boarding school would be one. The "mad woman" hidden away would be another. Was Robert Heaton an Edward Rochester stand-in? Fire figures in both Always Emily and Jane Eyre. Charlotte is portrayed in Always Emily as a strong, somewhat moral character, similar to Jane in Jane Eyre. I was frustrated reading this book because I have so little knowledge of Wuthering Heights, Emily's book. Emily is portrayed as wilder than Charlotte here. Is she like Catherine in WH? Is the young man she knew as a child and finds on the moor a Heathcliff figure? What about the dog!? What about the cemetery? Emily and Charlotte are intense about their writing here, and we see them taking what they know and using it in the writing projects they're working on in Always Emily. That behavior makes it clear, I think, that what they are experiencing in the world of Always Emily will eventually make its way into Wuthering Heights and Jane Eyre. 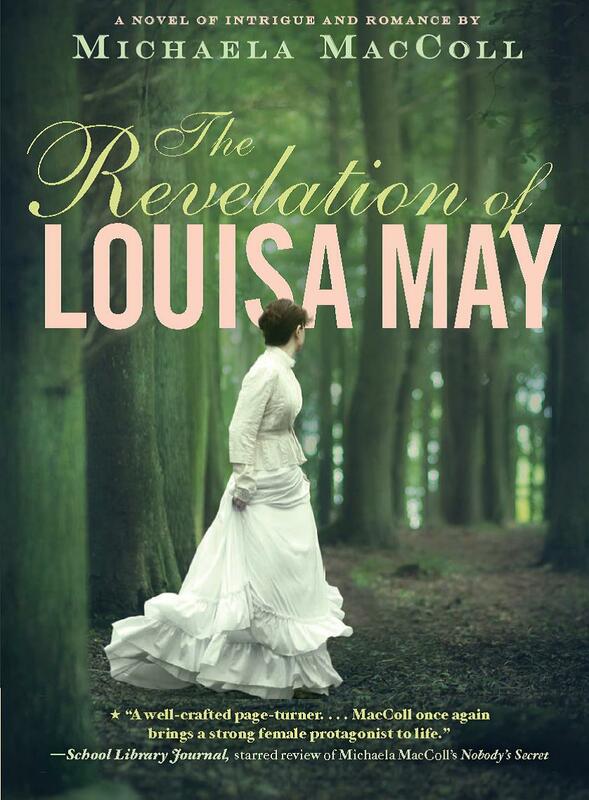 MacColl has a new book, The Revelation of Louisa May, dealing with a young Louisa May Alcott. I think I know more about Alcott and her work than I do about the Brontes and theirs, so I'm looking forward to reading Louisa May at some point. Here I am, hammering on training once again. Because, you know, you can't say too much about it. This summer, writers in central Connecticut can train at the Mark Twain House in Hartford. The organization is offering eight programs, most of which involve more than one session. One of them will be conducted by Jennifer LaRue Huget, who has written, among other things, children's books. She'll be teaching a workshop on self-editing. I was so taken with Vaunda Micheaux Nelson's article Mind the Gaps in The Horn Book last winter that I went on to read her book Bad News for Outlaws: The Remarkable Life of Bass Reeves, Deputy U.S. Marshal. Like Nelson, I grew up watching westerns, so I had noticed a review for this book when it was released in 2009. Bad News for Outlaws is a fantastic book. It's marketed to grades 3 to 6, so expect more text than in a traditional picture book. It is fascinating text, well-constructed as Bass Reeves' life story. The Reeves' story is told within the context of his world, as well. Just what was the deal with the so-called Indian Territory, anyway? And what were the deputy marshalls vs. any other kind of lawman out in the west? Additionally, Nelson uses some great stories about Reeves' activities as a marshal to illustrate what was so interesting about him. And she subtly throws in language from Reeves' era. In addition to the great writing, this is a beautiful looking book, illustrated by R. Gregory Christie. The design of many of the pages calls to mind old books or maybe wanted posters. The back material is some of the best and most inviting I can recall seeing. Because Bass Reeves was an African American, I imagine Bad News for Outlaws being displayed prominently in libraries during Black History Month. But this is a book that could be used for so much more. It could support history units because it is so good on the time period when Reeves' lived. It could be used to support a writing unit with the the stories Nelson uses about Reeves lives illustrating use of detail in writing. Oh, and the book also illustrates using an opening hook. I learned from this book. I was left wondering about one thing, though. Was poor pretty Jennie Reeves left raising Bass's eleven children on her own while he was off taming the Wild West? But then I wonder about that with many books about men from the past. Yes, I'm talking about writing groups again, mainly because I stumbled upon this great post, How to Find the Right Critique Group or Partner for You by Brooke McIntyre at Jane Friedman. This post covers two general areas. Shared Purpose And Similar Stage. Speaking from experience, I can say that the writing group that was a mixture of interests--adult and children's lit--wasn't as successful for me as the one that is all children's writers. And the business about members being at a similar stage in their careers I found to be true, too. Pace, Meaning Workload. If the critique group requires producing a certain amount of work, can you do it comfortably? Can you manage the amount of reading and responding involved, particularly if this is a group that requires doing this on your own time? Are you comfortable with the frequency of meetings? Comfort Level With Critiquing. Do the members know how to do it? Writing Associations. Writers' groups run under the sponsorship of a writers' association may have better trained, more experienced members, even if they haven't been published, because they may have attended conferences and workshops that the associations run. Conferences. Networking while attending these could lead to a group. By the way, I've heard of people getting started with writing groups while in graduate school, putting together groups with classmates. For that matter, just this morning I heard about an award winning nonfiction children's writer whose writers' group formed from an adult education writing class she attended at a high school. Meetup. I had never heard of Meetup, a site that collects real world groups on many topics, not just writing. This seems like a long shot to me, but interesting, nonetheless. It won't take a lot of effort to check the site out for your area. Online Groups. I have no experience with these, but this article lists a number of them to look into. This week I saw If Jane Austen Got Feedback From Some Guy In A Writing Workshop a couple of times on Facebook. It's very funny, and, yes, makes the point that in spite of all the critique/writers' group loving we hear these days, not all feedback is useful. But we get to decide whether to use comments about hair ribbons or not. Goal 1. Mummy Book. Feeling hopeful about this one. Goal 2. Short Pieces. Did some journal work on a new essay. Don't remember what it was now. Well, it's tucked away in the journal, right? Goal 5. Community Building. Attended last Saturday's workshop. Joined another Facebook community, because you can't be in too many, of course. Attended a virtual book launch. Goal 6. Marketing STP&S. The Environmental Book Club posts are all about promoting STP&S. And then I had to promote that post. Goal 7. General Marketing/Branding. Promoted blog posts. Worked on a revision of my website's Presentation page, which involved researching Connecticut's Common Core standards. 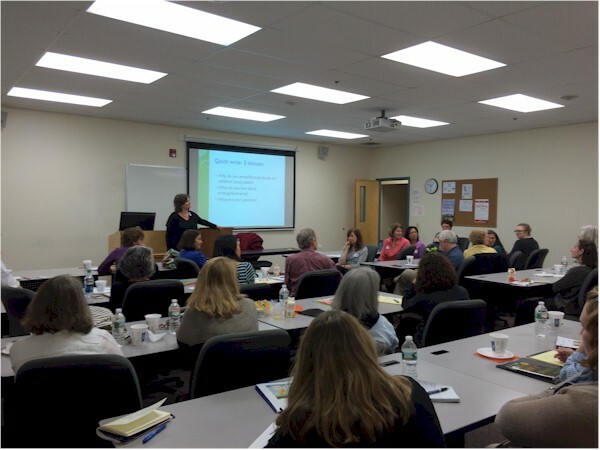 Last Saturday I attended the New England Society of Children's Book Writers and Illustrators' program Designing and Booking School Visits. I'll be discussing that sometime soon. Because I have my priorities straight, I'm going to write about people I met there first. I arrived late and was seated at the back of the room. During a break or lunch (I don't remember which. Perhaps I was overexcited. ), I overheard some people at the table in front of me talking about where they were from. One of them said she was from the town next to the town where I spent most of my childhood. So I shoved my way onto their table, interrupted their conversation, and said, "I grew up in Sudbury!" Well, it turns out that Marilyn Taylor McDowell has only lived at her present Vermont location for three years. This is important, because I was afraid she was someone I'd gone to high school with and had forgotten. In fact, at one point Marilyn lived in southern Connecticut, she knows Connecticut writers, and she is a former Tassy Walden winner. Yes, that Tassy Walden. Additionally, she is the author of Carolina Harmony. I left those poor people alone and went back to my seat. What happens next? The woman sitting next to me says, "I'm from Milton." That's Milton, Vermont, where I did a school appearance maybe six to eight years ago. 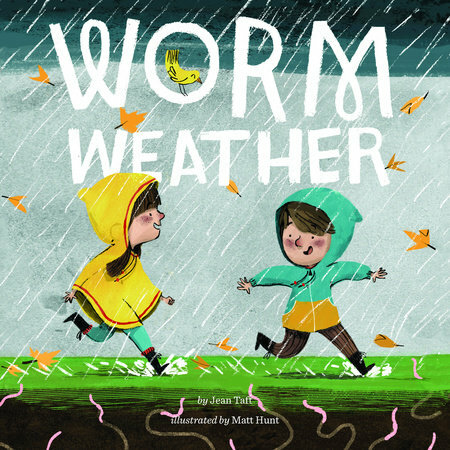 This was Jean Taft, whose first book, Worm Weather, will be published in October. She also doesn't live in Vermont anymore, which is why I'm telling you where she used to live, whereas I didn't tell you where Marilyn does live. Because I'm making an effort to be discreet. Anyway, Jean has French Canadian family. I have French Canadian family. Jean went to UVM. I went to UVM. Jean lived in the Living/Learning Center. I lived in the Living/Learning Center. Jean noticed that large numbers of out-of-state students skied. I noticed that large numbers of out-of-state students skied. 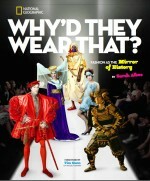 Jean's book is being published by a division of Penguin Random House. My books were published by a division of Penguin PreRandom House. Jean and I got along like a house on fire. For maybe ten or fifteen minutes out of the whole day, I was part of my own little faction in the back of the room. Except that we didn't have a dissenting political agenda or anything. You could say we were unified by a shared knowledge of place(s). *The "Allen faction" is the term used by Michael A. Bellesiles in Revolutionary Outlaws: Ethan Allen and the Struggle for Independence on the Early American Frontier to describe "Ethan Allen and his adherents" in pre-Vermont New Hampshire Grants. I had an interesting experience reading What Happens to Our Trash? by D. J. Ward with illustrations by Paul Meisel. I read parts of it aloud at dinner, which I was eating with a civil engineer. He approved the descriptions of the clay and plastic layers in the landfill. When I read, "The trash gets covered with dirt each day," he called out, "Daily cover!" 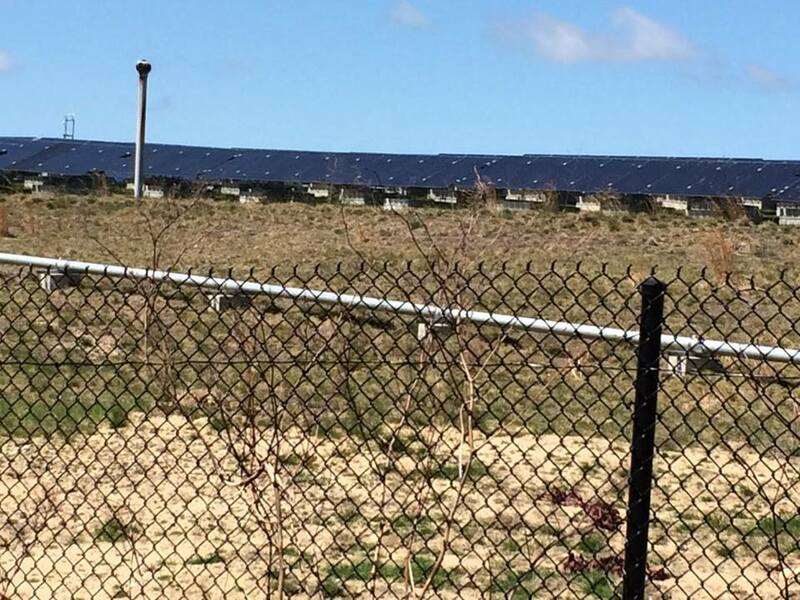 When I read, "When a landfill becomes full, workers carefully cover it," he exclaimed, "Final cover!" (Those terms may date him. It's been a while since he's done design work for a landfill.) The book discusses landfills at some length. In our part of New England, they're uncommon. We had them, and they ran out of space, just as Ward describes. And, yes, they're often turned into parks after they're closed, again as Ward says. 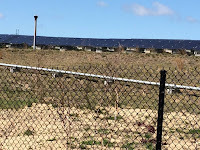 Though we think the solar farm we saw along a bike trail last month may have started out as a landfill. It was peppered with pipes like the one to your left, that may have been there to deal with the methane Ward tells his readers about. Believe it or not, two adults discussed this picture book over dinner. For instance, in other parts of the country, we theorized, where there is more open land, there are probably far more landfills, whereas we've had to move on to incinerators. And guess what? Ward writes about incinerators, too. I think What Happens to Our Trash? would work well as a read-aloud with kids, so they can discuss how the book relates to their lives the way we did. Though maybe their read-aloud shouldn't be done at meal time. Create a checklist of the steps you need to complete. Allen also suggests determining how much time you need for each step and creating a schedule. According to my varied reading, I suspect self-published writers who publish several books a year may do this. Plotting writers often commit time, sometimes months, even, to creating a plot before they start writing, which would certainly be the first item on their list. This organic writer has started doing formal character and setting development and scene lists before beginning to write a piece of fiction, simply to try to get at a real story idea. What does this have to do with managing writing time? The more you know about what you're going to write, the faster you can write. That's doing more with the time you have. Manage procrastination by having multiple projects you can work on. For traditional writers, this could simply mean really having more than one piece of writing you can shift back and forth between so you're managing to work on one writing goal or another. But this could also mean having multiple tasks within one project. For instance, if you have a scene list and you're procrastinating on working on the one that's next chronologically, you can jump ahead and work on another one. You are continuing to make some kind of progress toward goal. You are managing to keep your head in your project. I'll take a look at more of what Allen suggests to graduate students to see if there's more help the academic world can offer us. Yesterday as part of the Weekend Writer feature, I discussed getting the most from conferences, particularly writing conferences. This morning I heard about this list of multi-day (except for one) workshops/retreats/conferences at VonnaCarter.com. Isn't this what's known as perfect timing? First off, I think I'm going to add a new goal for this year. I have mixed feelings about this. Goal work is a good thing. It's adapting to situations, to what is going on, right? But in this case, I feel I need to create a goal to meet work I've been doing that doesn't fit into my other goals. Should I just be working for those other goals? Am I creating a new goal to justify this nongoal work I've been doing this week and a few other weeks, too? Goal 1. Generate New Work, Mummy Book. Did well on this one this week. I finished a chapter from last week and got well into another one. Hopeful for next week. Goal 2. Generate New Work, Short Pieces. I didn't actually generate anything new. Instead I started reading this material for market research. Goal 5. Community Building. Some prep for my attendance at tomorrow's workshop on school visits. Goal 7. The Newbie. General Marketing/Branding. Submitted two workshop proposals for next spring's NESCBWI Conference. Took part in yesterday's Twitter PitchMadness. Tomorrow's conference would fall under this goal, since it involves finding better ways to market my own workshops. The worry with the new goal isn't so much that it's a new goal as that it's a goal about marketing. The danger for writers with marketing goals is that they can become black holes sucking up time and putting an end to producing new writing. On the other hand, marketing is a legitimate thing to be doing, so why not give it its own goal? I just hope it's not going to be showing up a lot here on Fridays. Not Your Grandfather's Nature Writing: The New "Nature" Journals by Andrea J. Nolan at Fiction Writers Review deals with contemporary nature writing in general. Something jumped out at me relating to environmental fiction. "But then how do you define environmental, or place-based, fiction?" First, defining environmental fiction has been an issue here at the Environmental Book Club. But the answer to Nolan's particular version of the question appears to be there in the question. It's place-based fiction. It's fiction that's strong fictional element (character, plot, voice, setting, point of view) is setting. This makes sense to me, especially when you consider that setting includes time as well as, well, place. Futuristic post-environmental disaster worlds like you see in The Uglies series are about setting. A big part of the reason Carl Hiaason's books are considered environmental is the strong sense of place that is created with his Florida settings. What kept The Carbon Diaries 2015 from being just another whiney teenage story was the...wait for it...setting. Nolan suggests that "we should use John Gardner’s definition of great fiction as our benchmark. He said that the hallmark of successful writing is the creation of “a vivid, continuous dream.”" That dream could be the experience I look for in an environmental book. Setting is a a big part of that continuous "dream" experience. Another May has come and gone, and so has May Days, what I call a set-aside time, meaning it's a unit of time I commit to working on one project. I did better with working every day then I think I've ever done before. In order to do that, though, I had to work around a lot of family stuff on weekends and sometimes on week days. (There is family stuff here all the time.) I was working in bits and pieces, I had to work in a motel room a couple of days, and I was frequently working at the kitchen counter while something was cooking. What I found was that I was having breakout experiences all over the place. So I started running with the bits and pieces plan. The last few weeks instead of getting my usual life activities out of the way and then getting into my four or five hours of work time, I took a look at my manuscript first thing in the morning and then did something else. I went back to the manuscript, then went back to something else. Over and over again while I was at the "something else," I worked out problems with the manuscript or came up with new idea. This is a first draft. I have trouble with first drafts. Generating new material is not my favorite thing to do. I'm wondering if maybe when I'm in a first draft situation this is how I should be managing my time. Maybe this should be first draft process for me. I'm sticking with this method for the time being, hoping to get an entire rough draft done in the next couple of months. And, yes, I know there are lots of people these days who do a rough draft in six weeks, who do an entire book in a few months. Zen tells me that desiring what others have or are able to do will only lead to unhappiness. Last night I read an article on Slate suggesting that Google+'s days may be numbered. Wouldn't you know it, I'd prepared a blog post last week all about how satisfied I've been with that platform. I'm not wasting it. Last month I discussed (at length) Google+ with a friend on Facebook, convincing her to give it a try. I thought some of that material could be repurposed as a blog post, and that's what you're seeing here, repurposed Facebook material. Google+ is simple to use once you've figured it out, which is true, of course, of most things in life. You collect people into circles there. Circles are like classifications. You can have a librarian circle, a writer circle, a self-pubbed writer circle. You can access your circles easily in the event that you want to see just what your librarian people have to say. You have a profile page that is all your posts and a homepage that is similar to a Facebook wall in that you can see posts from the people in your circles there. The big thing you can do at Google+ is join communities. I'm a member of a couple of writer/blogger communities, an eco-fiction community, and a community interested in children's books. It could be argued that those are similar to private Facebook pages. (I'm a member of a few of those, too.) However, when I post links to my blog in one of those communities, I see a boost in my blog statistics. I don't when I post in private Facebook pages. I post all my blog posts at my general spot at Google+. I post specific blog posts to specific communities there. The Environmental Book Club posts go to the eco-fiction community and the childen's lit community. Marketing and writing posts go to a couple of the writers' communities. Also, if someone Googles you, your recent posts at Google+ turn up. It gives you more of a presence on the Internet. The other good thing about Google+--If people like your content, they can + it, meaning share it with their circles. Presumably sharing can happen on Facebook, but I rarely see it. Almost every week a couple of my things get shared on Google+, especially if I've posted to a couple of the communities. In short, I see engagement at Google+. Engagement is important with social media. I think the worst thing about Google+ is its reputation. People think no one uses it. As Slate's article stated, "...it has in fact caught on with swaths of professionals and hobbyists who enjoy talking shop on a social network that isn’t full of friends and cats and wedding announcements." But maybe not enough people want that. I have things set up with Google+ right now so that this post will automatically go up there when I publish it. This particular post I will also post at writer communities. I'm off to do that while Google+ is still around so I can.